I follow a variety of Bob Dylan-inspired social media feeds. (Instagram is proving to be a treasure chest of rare and previously unseen pictures and videos.) As it is in these days of news-snippet overload, I can’t clearly remember where I saw it (reckon it must have been in my algorithm-cluttered Facebook newsfeed), but someone said our modern day bard had an outside chance of 50-to-1 to win this year’s Nobel Prize in Literature. So it came as a great delight and bewildering surprise when a friend WhatsApped me a link to the literature story of the decade. The Shakespeare of our time, Bob Dylan, won the highest accolade in the world of written thought. Although Bob is probably not the first surprise winner in the history of the Nobel Prize in Literature, the fact that an American songwriter received the top prize for writing confused some and enchanted many. For me, I was stunned, overwhelmed and infinitely grateful. Being a Bob Dylan fan has its ups and downs. He can be frustratingly enigmatic, as his refusal to acknowledge winning the Nobel Prize attests. But through all the highs and lows, with great albums and almost-great albums galore, his mostly unseen presence has loomed large in my understanding of our world. The Dylan I see before me is a man of great renown, a juggler of our collective consciousness and a troubadour of mighty prose. As it is when you’re a fan, you have many stories to tell. A favourite of mine is the one when my fellow Toaster Kim Browne and I learnt about an upcoming live Dylan performance at London’s O2 Arena. A UK-based friend of Kim’s organised tickets for the event a year in advance. But how to get there for our first live Dylan experience? Our partners at the time were London-based, so what better time to organise our quarterly board meeting than for the Friday before the Dylan concert on Saturday? The fact that the meeting was postponed at the last minute did nothing to detract us from our mission. We still had to “touch base” with the London office, right? So the evening arrives and we’re in the queue early as free seating demands. David and friends join us as we munch on Nando’s (felt a bit weird to be having Nando’s in London in the Bob Dylan concert queue), as we wait. When the time comes Dylan does not disappoint. 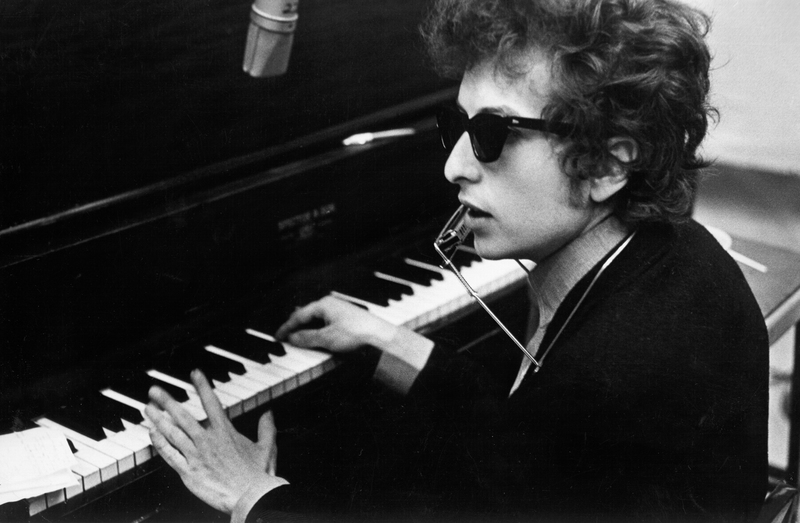 He plays electric piano and some songs are hardly recognisable, but Bob Dylan and his Band bring it all back home. At the end of the warm winter night he acknowledges the crowd, looks us in the eye and whispers “see you again soon my friends”.